Fancy owning and running your own business, with support from an industry leader? Would you like to make your living from physical activity and sport? Are you seeking excellent ﬁnancial rewards for all your hard work – up to £500k over 5 years? If the answer is yes, then read on, we’ve got the opportunity for you! 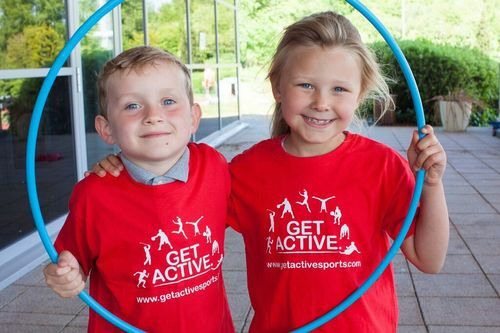 For over 10 years Get Active Sports has established itself as a high-quality provider of PPA PE Cover, Extra Curricular Clubs, Active Care Clubs, Birthday Parties and Holiday Camps to schools, parents and children in and around Berkshire. To meet the growing demand for our services, we are franchising our highly successful business model and are seeking interest from individuals with a passion for both sport and business who are keen to find out more about owning a Get Active franchise. We’re initially setting up new franchisees within a 50-mile radius of our Berkshire office, but we’re keen to hear from interested parties throughout the country. Independent research shows that franchising is a strong business model, with the British Franchise Association reporting in 2015 that 97% of all UK franchisees were proﬁtable, as well as 91% of franchisees claiming to be ‘definitely’ financially satisfied. When you buy in to a Get Active Franchise, you’ll not only benefit from our years of industry experience, knowledge and support, but you’ll be rewarded for your hard work, vision and business acumen. Based on actual performance, Get Active Sports franchisees can earn over £500,000 (before tax) over 5 years. At Get Active Sports we don’t specify requirements as to age or gender. What we’re seeking are self-motivated individuals who demonstrate exceptional interpersonal skills and have the ability to work independently, even though they may never have owned or run their own business – that’s where we come in! Most importantly franchisees must be people that we feel we can work with and that we would be happy representing the Get Active Sports brand. Is this you? Have you got what it takes to run a successful franchise? If the answer is yes and you feel you can make a real difference by inspiring children to lead active and healthy lives, then we want to hear from you. To express an initial interest or to find out more hit apply NOW and we’ll be in touch.